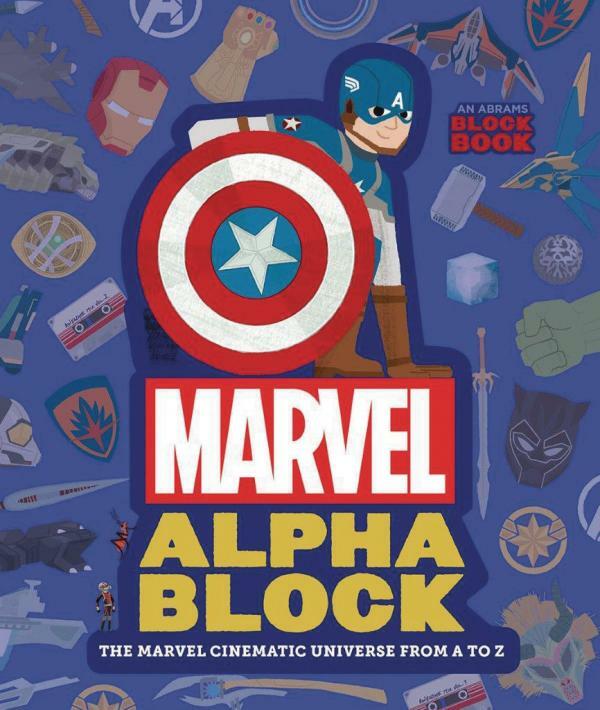 Tour the Marvel Cinematic Universe in the seventh book in the bestselling Block Book series. The Marvel Cinematic Universe is rich with content, from its highly original characters to its stunning locations. This title features thrilling scenes and fascinating characters from A to Z, perfect for the youngest fan as well as seasoned collectors. Marvel Alphablock includes die-cut pages and the stylish art of British design team Peskimo. Each spread highlights important characters every fan of the Marvel Cinematic Universe should know-from Black Panther to Iron Man to Scarlet Witch.